At Precision HVAC, our heating and air conditioning contractors have the knowledge, skill, and experience necessary to provide you with the highest quality and most customized HVAC system possible. We have a full-line of design and installation services, including Ventilator services such as ventilation system selection and customization projects. With our help, expertise, and guidance, you will have the HVAC system that is perfectly designed for your home or business. Our locally owned and operated company understands how important your home or business is to you and your family. Likewise, we know that your heating, ventilation, and air conditioning devices are critical to your use of your residence and commercial property. When you hire us to help you select and install a ventilator for your residence or business, we will work our hardest to achieve all your functional goals. You are guaranteed to be pleased with the results of the effort. 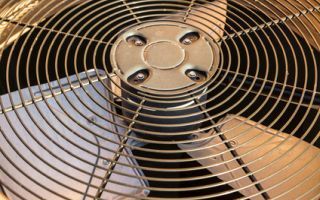 Call Precision HVAC today if you need to hire a professionally licensed heating and air conditioning contractor in Saugerties who specializes in ventilator installation and design services. Our indoor air quality experts would be happy to take your call, to answer any questions that you may have, and to assist you in any way that we can. Our staff would be very excited to schedule your appointment today. At Precision HVAC, our Saugerties ventilation contractors are proud to be a critical asset to our local business clients. Your buildings and facilities are all unique; therefore, they need to have duct work and ventilators specifically designed for the interior space. Our highly skilled professionals have the knowledge and experience necessary to help you design and install both air ducts and ventilation systems throughout your business. With our help, every portion of your HVAC system will be customized to the specific needs of your business. You can always rest assured knowing that our team is on call to provide for your ventilation needs. Your HVAC system will always promote the productivity and profitability of your efforts. If you need to hire a professionally licensed heating and air conditioning contractor in Saugerties who installs and maintains ventilators, call Precision HVAC today at 845-399-0669, or fill out our online request form.